Youth, or commonly called AppleYouth by local Apple product users, is one of the most famous resellers among the users. 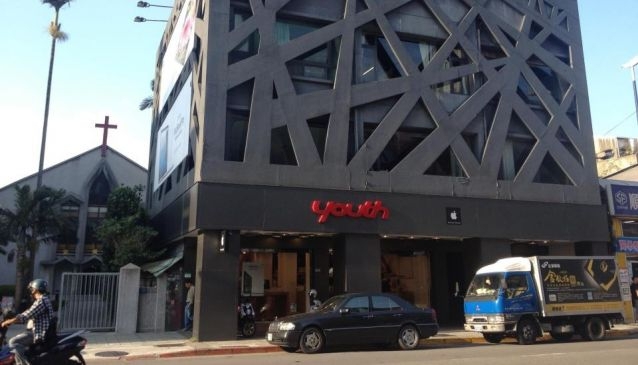 Starting with just one store, Youth has expanded itself to three branches. Various kinds of Apple products are provided, including iPhone, iPad, Mac computers, plus different kinds of original and third-party accessories. With its reputation built in early years, Youth also runs a Apple authorized service center along with a coffee shop at its main branch on Bade Road, near the most popular computer and consumer electronics market in Taipei. Three branches all open at 11:00 and close at 22:00 while the service center operates between 11:00 and 20:00 with a break between 13:00 and 14:00.